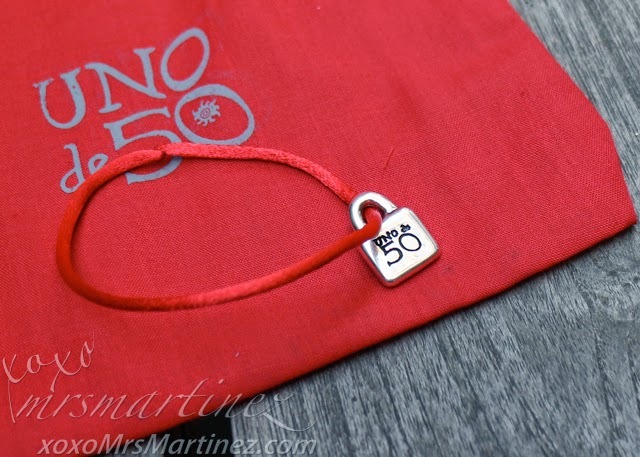 I was in SM Mega Fashion Hall for two days in a row before the Holy Week break because I was eying a sterling silver bracelet with glass beads from Uno de 50 called Hummingbird. 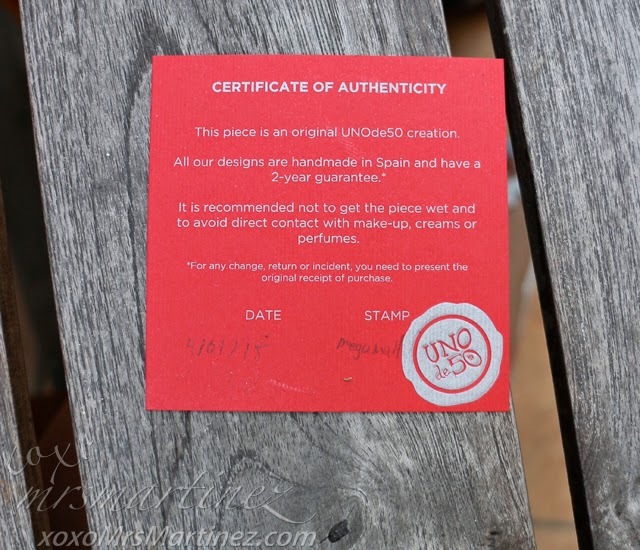 On the first day, I learned that Uno de 50 is a brand handcrafted from Spain. The products and materials used were 100% made entirely from that country. I have to commend the SA because she was very accommodating (even though she knew I will not be buying that day) and was able to answer my questions. Well, I was not able to sleep well that night. 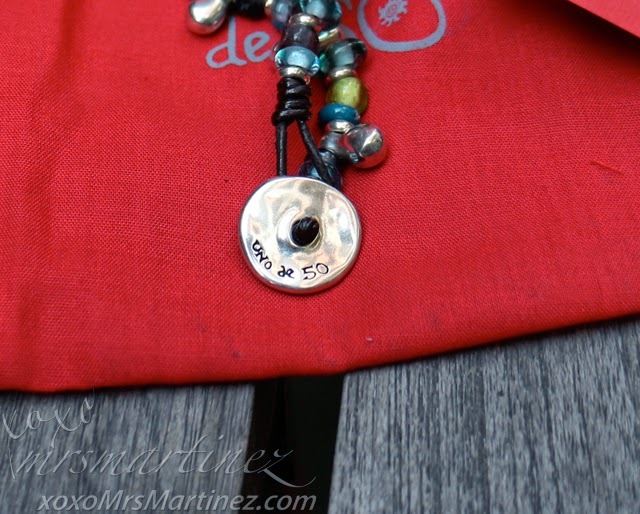 I kept on thinking about the bracelet especially since there were only two left in the store. The next day, I was back and finally bought it. 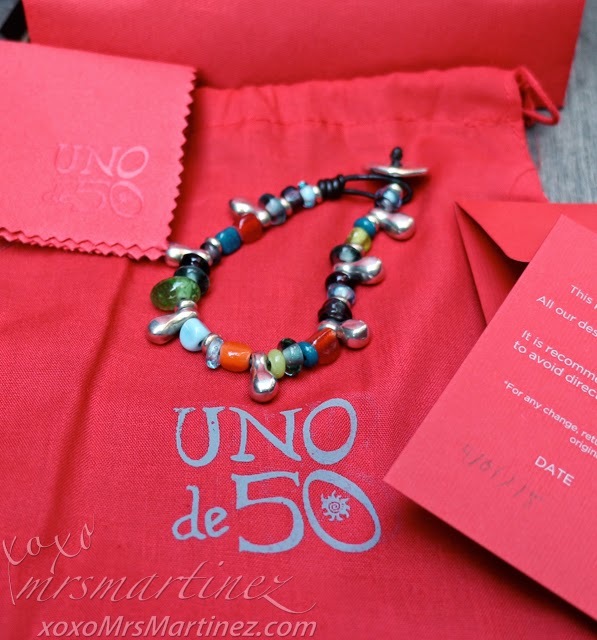 The bracelet comes in a pouch with a Certificate of Authenticity and a cloth wipe. 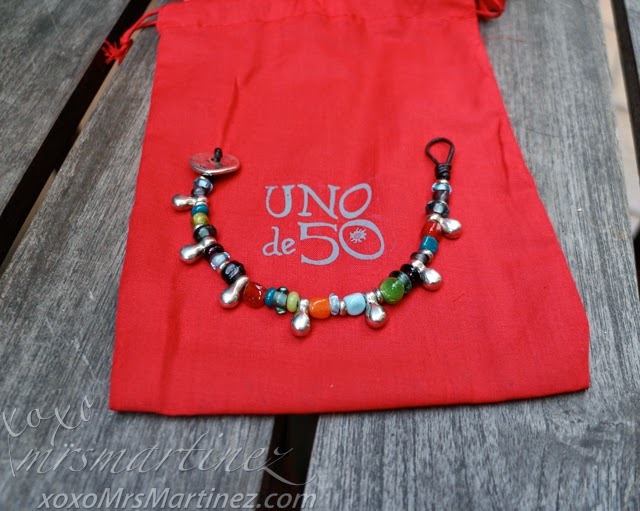 There is also an Uno de 50 charm given for free. 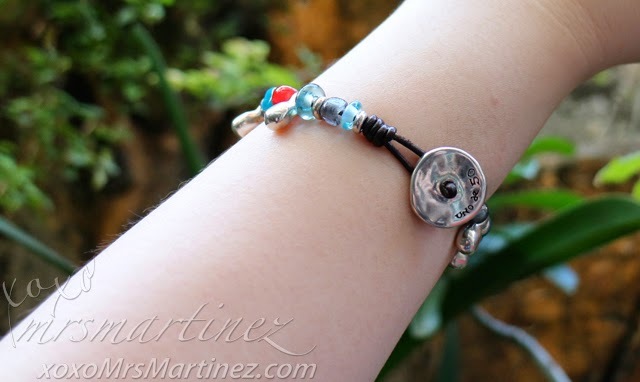 Leather bracelet featuring coloured glass and silver-plated metal beads, with beret-shaped clasp. I love it! It is so easy to wear and remove. 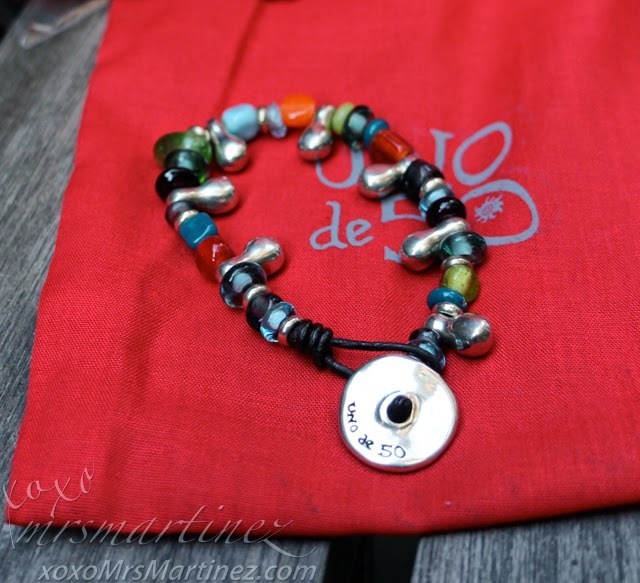 It complements the other bracelets that I own from other brands. Oh, I only have to photocopy the receipt as I need to present it if ever I will claim the warranty (change, return or incident). 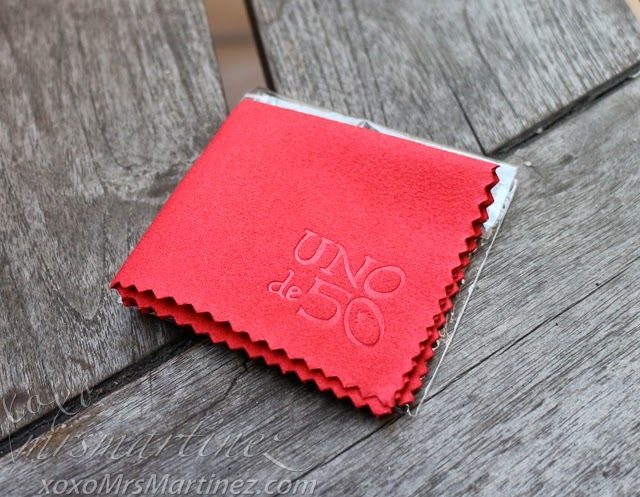 Uno de 50 is located at the 3rd level of SM Mega Fashion Hall.